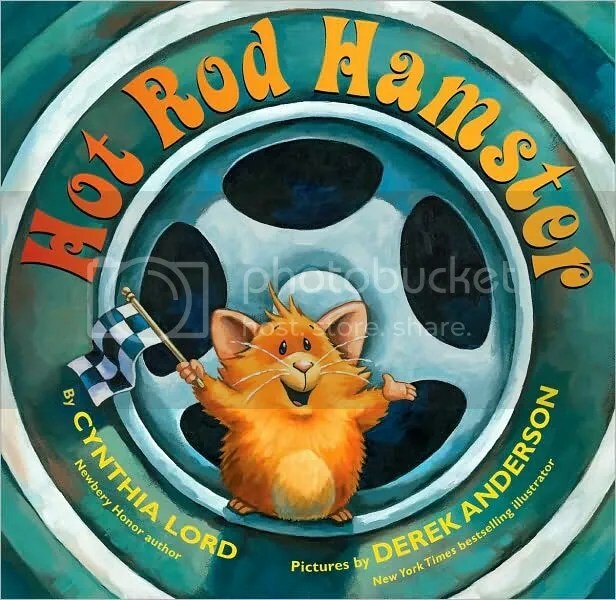 What can I say about Hot Rod Hamster? It’s about a hamster who, with the help of some rats and dogs, builds a hot rod. Its a fun little story that caught my eye at the library because of the bright, clean illustrations and the author’s name. Cynthia Lord is more famous for having written the award winning young adult novel Rules. This one is nothing like Rules, but it’s good all the same. The fun part was as the hamster builds his race car, he keeps asking the reader’s opinion on which tires to pick, which engine to build, and which body design looks the best. That was a lot of fun for my 3 year old son, Josh, but he got mad when the hamster didn’t pick the same things as he did. Definitely worth reading if you’ve got a toddler to take care of. They’ll really enjoy it. This was book #4 in my quest to read 90 books in 90 days this summer.